Considering all the hullabaloo in the gaming world lately over ethics, sexism, harassment, and death threats, Spirits of Spring perhaps could not have come at a better time. Although iOS games have been mostly immune to the commotion due to their more casual leaning, it can’t hurt to have a game right now that promotes friendship and decries bullying. 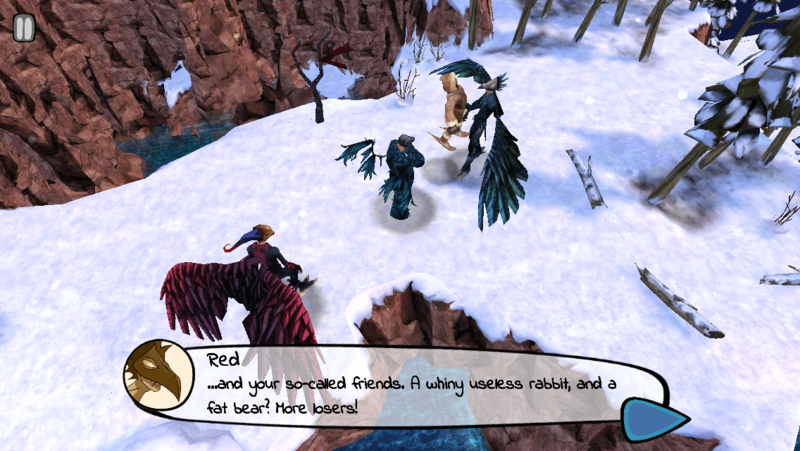 Advertised as “an adventure empathy game with puzzle elements,” Spirits of Spring celebrates people’s differences, even if it’s something like being overly worrisome or a bit clumsy and “weak.” The main character of the game, a Canadian Aboriginal boy named Chiwatin, has the power to use spirits to melt ice, keeping the land in an eternal spring. Despite this extraordinary ability, he is not your usual hero. He stumbles and falls sometimes as he’s snowshoeing through snowstorms. The crows, which are harpy-like human-bird hybrids and the villains of the story, bully Chiwatin and make him feel less-than because he’s not strong like them. But his friends, Bear and Rabbit, try to convince him that he doesn’t need to be like a crow to save the day. They also help him out with their own unique abilities to swim through icy water or dig tunnels. While this may all sound like nothing more than an anti-bullying PSA (there’s even a drug-dealing fox! 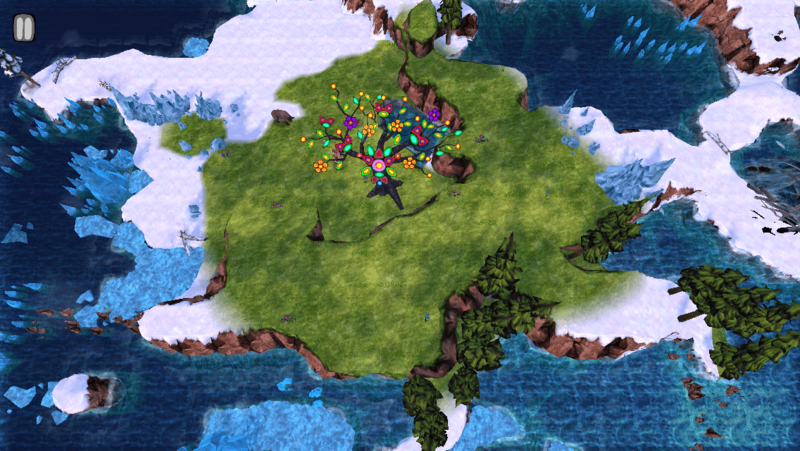 ), Spirits of Spring actually has quite a bit to offer as a game. If you’re looking for a challenging game, this isn’t it. It’s more like an interactive story. But it just might challenge your view of the world while you explore gorgeous snow-covered landscapes and solve relaxing puzzles. The visuals don’t feature groundbreaking Infinity Blade-level graphics, especially on a small iPhone 5 screen, but there’s enough detail to capture the feeling of running through snow-capped mountains and swimming through icy water. My personal favorite was the caves, with turquoise ice shards jutting every which way. Add to the mix some constant animations such as snow falling and waves crashing and you get quite a beautiful experience. I had some idea of what to expect with the visuals, but I was completely blown away by the soundtrack. It’s calm and relaxing when necessary, and heart-pumping when danger’s up ahead. There were times where I delayed finishing a certain section of the game so I could continue listening to the music. 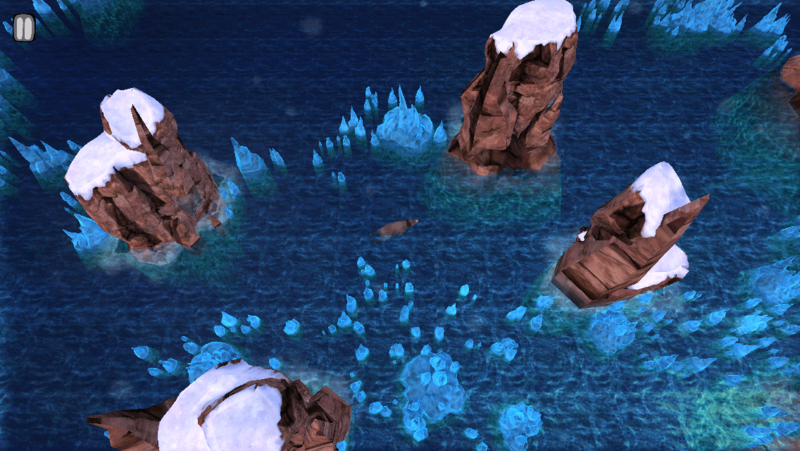 The sound effects also do a perfect job of pulling you into the game, from the sound of breaking waves to Chiwatin’s feet hitting the crunchy snow. The controls are fairly simple, in theory. There are no virtual joysticks or buttons to press. Instead, you tap and hold the screen in the direction you want to move. Additionally, you can control a string of spirits that trail behind Chiwatin. 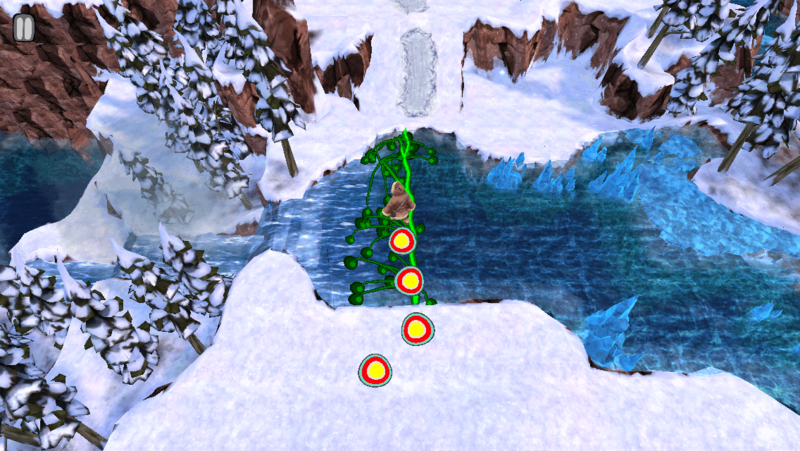 By dragging these spirits, you can create a bridge to cross water, collect other spirits that are out of arm’s reach, take control of one of your animal friends, and later in the game destroy trees blocking your path. There were a few times where the controls weren’t doing what I expected them to do, making me wonder if I was missing something. They just don’t respond perfectly sometimes. For example, there were a few instances where I had trouble grabbing onto the string of spirits to use them. I also hit a bit of a glitch that forced me to start over from the last checkpoint. Luckily, there’s no way to die in the game, or make a truly wrong move. It just might take a bit longer to get something done than it should. There are also quite a few checkpoints, and you can replay any of them at any point (which I really appreciate). It’s not a difficult game, and the controls only led to occasional frustration. There’s also the nice added bonus of being able to play as animals. 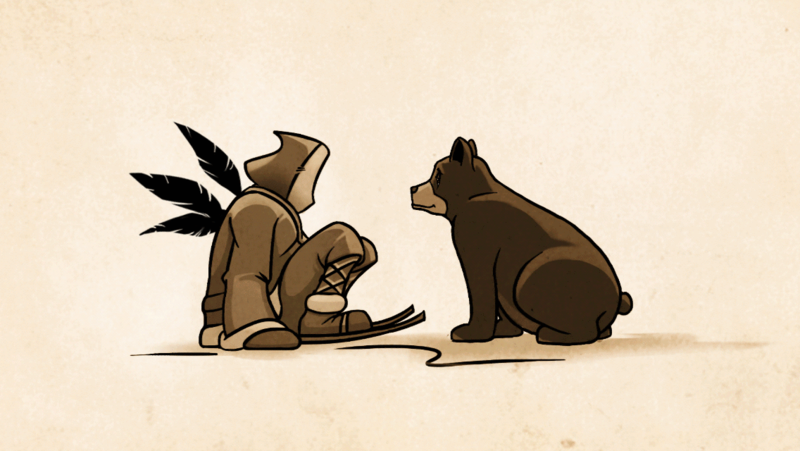 Chiwatin has trouble reaching certain areas on his own, so he sends Bear or Rabbit to fetch the spirits for him. It feels a bit like you’re playing as the Beastmaster, for those old enough to remember the movies and TV shows. We are on the same page. I appreciate your insight. That’s why I always read what you have to say. It’s so spot on. Your reviews & walkthroughs are flawless! So THANK YOU!